Spout Springs. 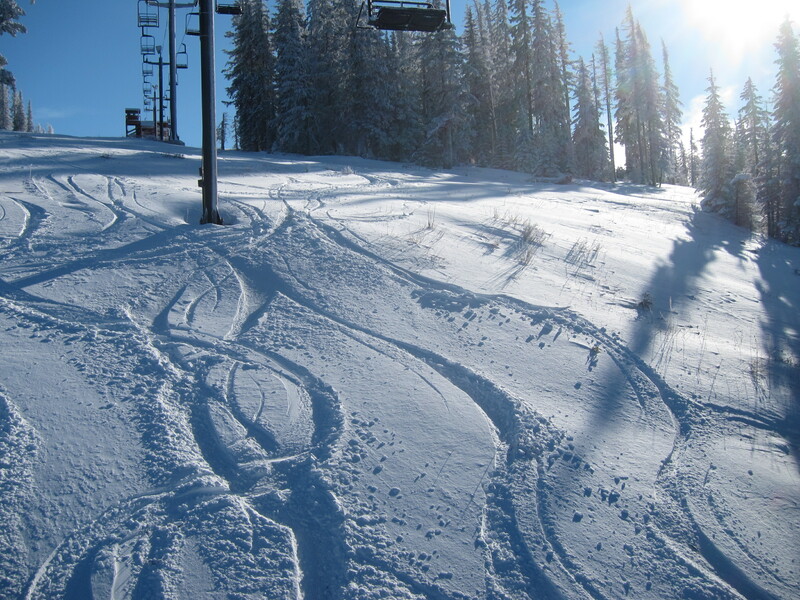 Yep, all those tracks are ours. Spout Springs had about six inches of fresh snow that Emily and I had to ourselves well into the afternoon. 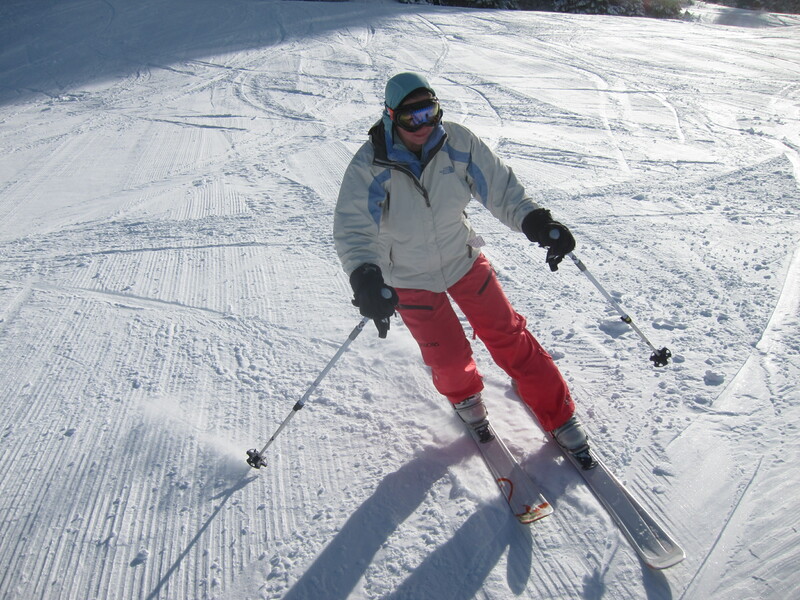 Emily is coming along in her Telemark turn adventure, and I had fun skiing on skinny skis again. 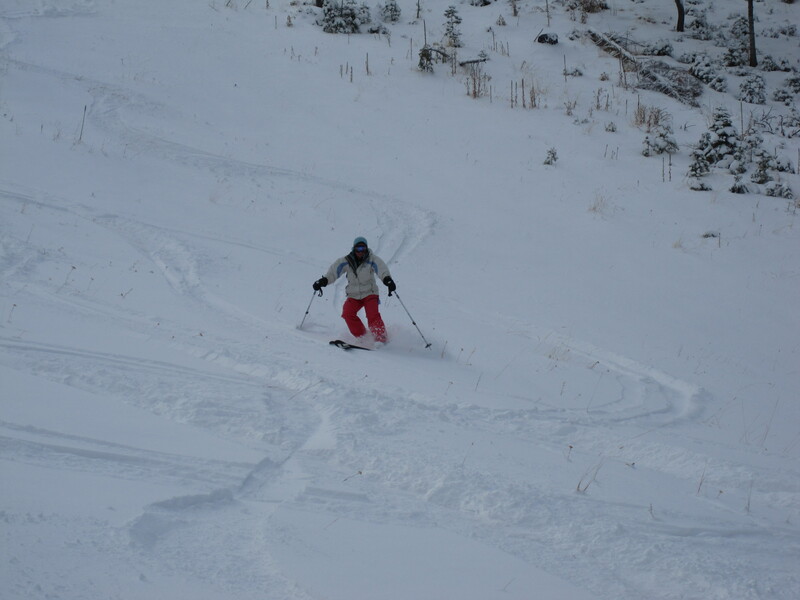 New Year’s day we headed to Ferguson Ridge, Wallowa county’s local ski area, where we found more good snow. unfortunately I broke another binding early in the afternoon and we called it a day. 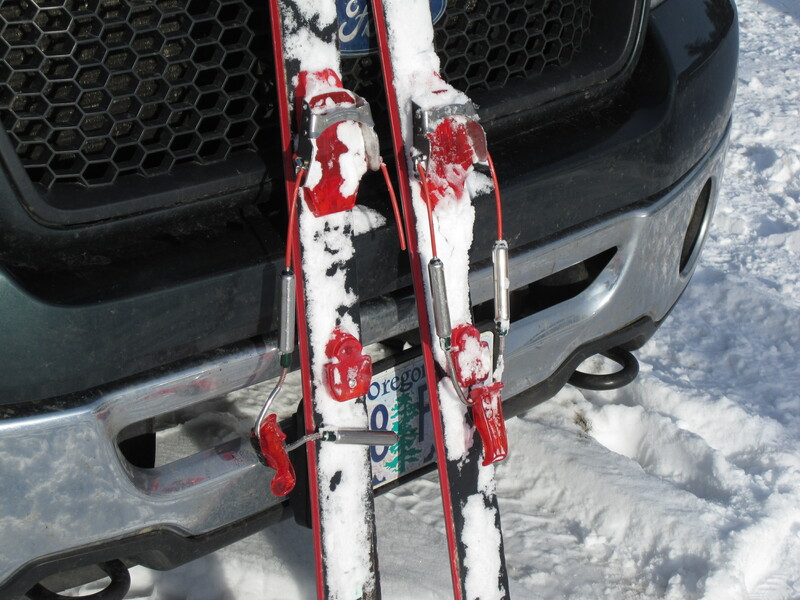 Excited to get the touring bindings fixed and do some exploring soon. Another day, another broken binding. 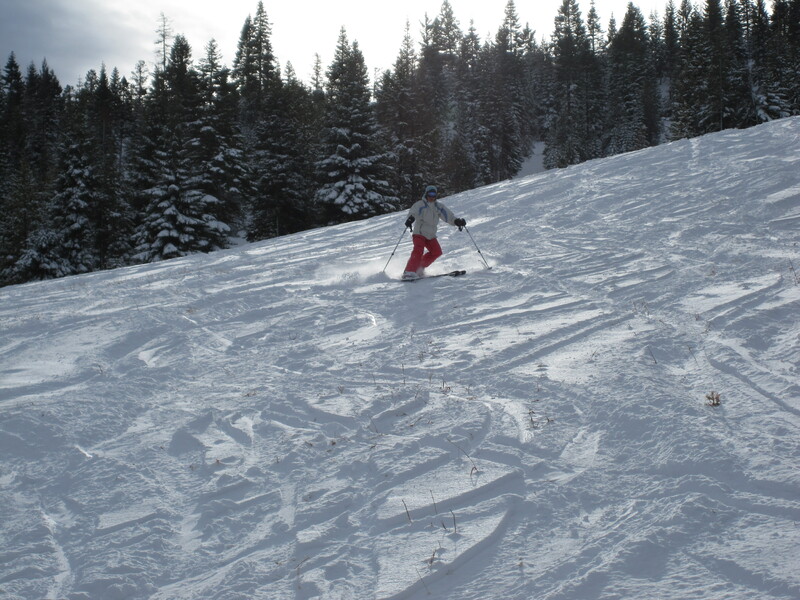 This entry was posted in Random and tagged Fergi Ridge ski area, Spout Springs ski area by Lee. Bookmark the permalink.